We love creating connections not just with authors and illustrators on books, but between authors of different books. Click here to read author Lauri Fortino's interview with author Katey Howes. GRANDMOTHER THORN on sale today! Grandmother Thorn treasures her garden, where not a leaf, twig or pebble is allowed out of place. But when a persistent plant sprouts without her permission, Grandmother Thorn begins to unravel. A dear friend, the passage of seasons, and a gift only nature can offer help Grandmother Thorn discover that some things are beyond our control, and that sweetness can blossom in unexpected places. Rebecca Hahn’s detailed multimedia illustrations capture the intricate beauty of nature and bring the rural Japanese village and its inhabitants to life in this folktale style story by debut author Katey Howes. Katey Howes loves connecting kids with the natural world through exploration, art, and science. On weekends, you might find her camping with her Brownie troop, curled up under a blanket with a stack of books, or discovering a new museum with her husband and three daughters. After ten years as a physical therapist, Katey now writes full time from her cluttered basement office. 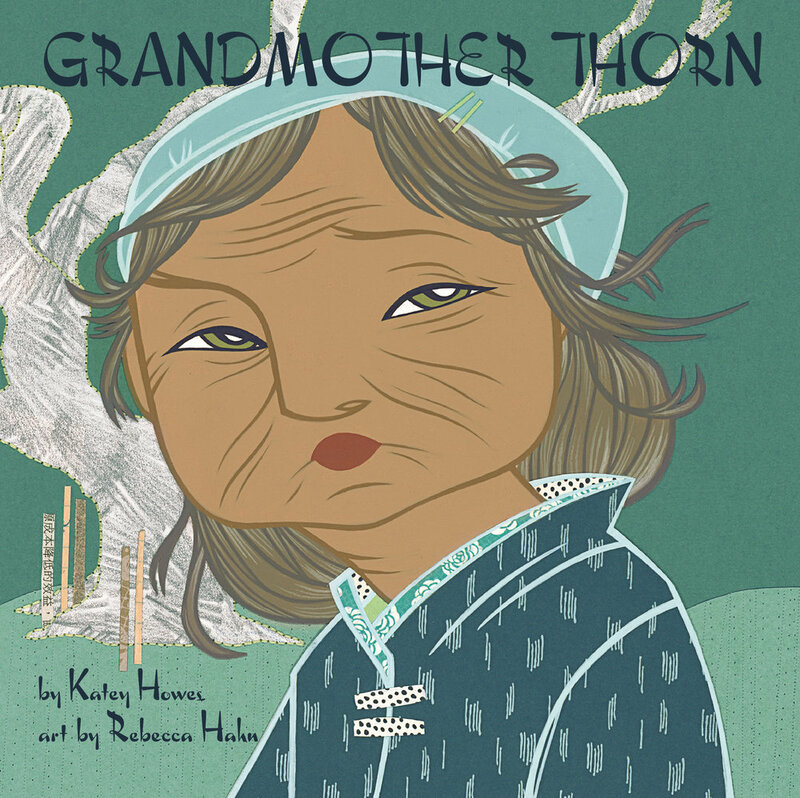 Grandmother Thorn is her first picture book, inspired by an epic battle with an unruly raspberry bush. You can connect with Katey online at kateyhowes.com or follow her on Twitter @kateywrites.